Since May 2000 we've been providing a comprehensive FREE database of UK speed cameras locations as supplied by UK motorists and some Police/Local Authorities. The guide below shows the different pages within the speed camera database, from the map page, to the county pages to the individual speed camera locations page. If you know of a speed camera not listed within the online database you can tell us about it, alternatively if a speed camera location has been removed and/or a the speed limit has changed an 'Update location' button is available from within the each location page. To view fixed and mobile speed camera locations within the speed camera database, simply click a desired county or city on the UK map. A text version is also available listing every county in the UK spread across twelve different regions e.g. 'East of England'. A-Z listings by place name then appear. A picture of the type of speed camera e.g. SPECS is displayed along with the speed limit and road name or number e.g. 'Cambridge - A14'. 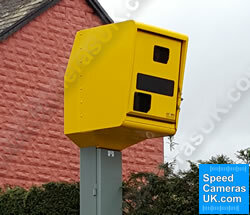 To view an individual speed camera location, simply click on the place name and road name text. You'll then be able to read more in-depth information page relating to the individual speed camera location - see below. Once you've clicked the place name and road name/number e.g. 'Cambridge - A14' you'll then be taken to a page with more information relating to that specific camera location. Some locations may refer to two cameras (or more) - sited either side of the road at the same point, while others relate to a single fixed or mobile speed camera. Each location is given a unique reference number e.g. 'EEC048', this number can be used when sending information, photos and videos to SpeedCamerasUK.com. The reference number is also automatically used when clicking the 'Update Locaton' (as circled in red below) and found below the speed camera information on the page. Clicking the 'Update location' button enables you to send us updates and amendments to the speed camera location. So for example if a speed limit has been reduced or a speed camera has been replaced by a new/different system, click this button and complete the online form with as much information as you can provide. Once we receive the information we will review and add to the database normally in the space of a week. 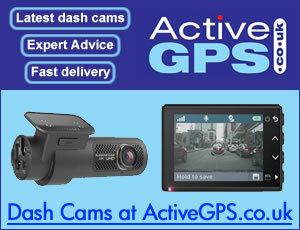 It it is also possible to send us photos and/or videos for us to add on a speed camera location page. To send a photo/video simply click the centre button 'Add photo and/or video' on the Speed Camera Location page. You'll then be taken to this page to read more about what to take and where to send your photo/video to. Pictured below is an example of a speed camera location page complete with photo - highlighted with red border.